Four-show subscription season will include two beloved musicals and two comedies about families lost, found and strengthened. 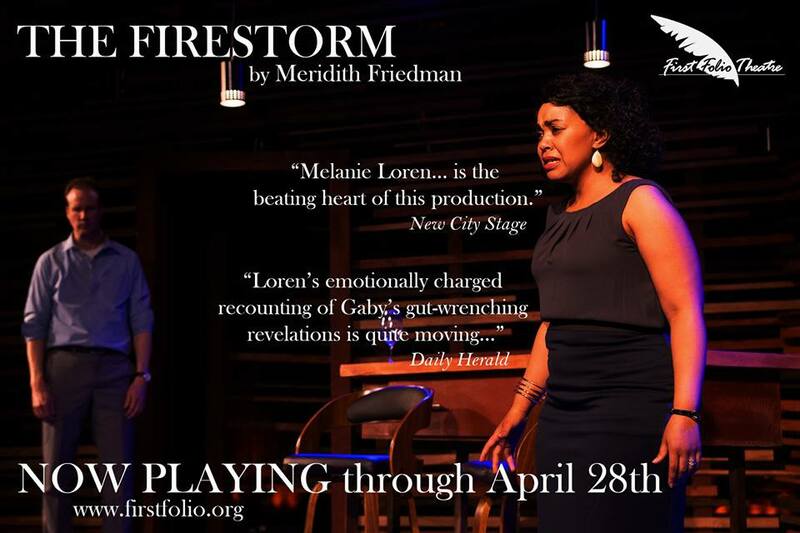 Citadel Theatre Company, an Equity-affiliated professional company performing in Lake Forest, IL, has announced its 17th season. 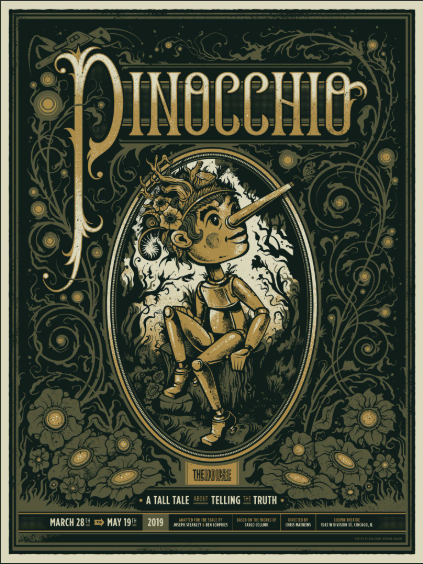 The four-show subscription season will open in September with the Tony Award-winning adventure-comedy PETER AND THE STARCATCHER a “pre-quel” to the story of Peter Pan – the boy who, separated from his parents, refuses to grow up and forms a family among a group of lost boys. It will be followed for the holidays by the ever-popular family favorite ANNIE – the story of Little Orphan Annie and her new home with the uber-rich Daddy Warbucks. The season will continue in the new year with THE FANTASTICKS. The world’s longest running musical, THE FANTASTICKS tells the story of Matt and Luisa, young next-door neighbors who fall in love precisely because their scheming fathers, knowing the kids will do exactly what they’re told NOT to do, have been keeping them apart. The season will conclude with Neil Simon’s heartfelt BRIGHTON BEACH MEMOIRS, a semi-autobiographical comedy inspired by Simon’s life at age 14 and his loving, but quirky family. PETER AND THE STARCATCHER, opening on September 27 and running through October 27 is a pre-quel to PETER PAN, written by Rick Elice (author of the Broadway musicals JERSEY BOYS, THE ADDAMS FAMILY and THE CHER SHOW), based on the novel by Dave Barry and Ridley Pearson. On Broadway, It was nominated for nine Tony Awards, winning five. PETER AND THE STARCATCHER is an action-packed and humorous take on the Peter Pan characters in which 13 actors will play more than 100 roles. PETER AND THE STARCATCHER will be directed by Jeremy Aluma, who recently directed THE ELABORATE ENTRANCE OF CHAD DEITY for Red Theater. The production was remounted at Theater on the Lake, named a Top 10 Show of 2017 by the CHICAGO TRIBUNE, and won a Jeff Award for Best Fight Choreography. 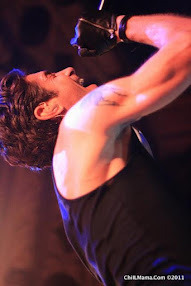 Aluma is also the founder of the internationally touring clown troupe, Four Clowns. ANNIE, which the CHICAGO TRIBUNE once called “one of the best family musicals ever penned,” will be Citadel’s holiday show. This musical comedy based on the long-running comic strip LITTLE ORPHAN ANNIE ran for nearly six years in its initial Broadway production and has twice been revived on Broadway. It was also adapted as a popular feature film and network television special. Frequent Citadel director Robert D. Estrin, who helmed last year’s JOSEPH AND THE AMAZING TECHNICOLOR DREAMCOAT and the Jeff Award-winning THE EXPLORERS CLUB, will direct a cast of professional musical theater performers alongside an ensemble of local children as the orphans. 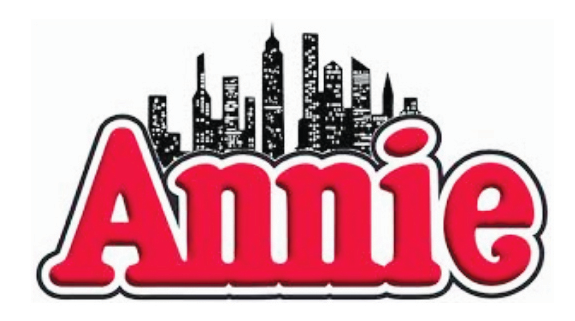 ANNIE will open on November 15 and run through December 22, 2019. THE FANTASTICKS originally opened off -Broadway in New York City’s Greenwich Village in 1960 where it played until 2002. In 2006 it was remounted in a new theater in Times Square where it ran another 11 years, easily making its combined 53-year run the longest of any musical. It includes the song “Try to Remember,” which entreats audiences to remember a sweeter, gentler time. Writers Tom Jones and Harvey Schmidt adapted their story from a play by Edmund Rostand (CYRANO DE BERGERAC) in which two neighbors plot to make their children fall in love and marry each other by forbidding them to ever see each other, knowing that children will most want to do what they are told not to do. The boy and girl find a way to meet despite the fence that separates them, but they learn some hard lessons about romance and adventure vs. real life before the musical ends. Longtime Citadel collaborator Pat Murphy, who most recently directed LIGHT UP THE SKY for Citadel, will direct the production, opening on January 31 and running through March 1, 2020. The season closer will be BRIGHTON BEACH MEMOIRS, one of Neil Simon’s best-loved plays among his many hits. The first of an autobiographical trilogy that includes BILOXI BLUES and BROADWAY BOUND, BRIGHTON BEACH MEMOIRS is a portrait of the writer as a young teen in 1937 living with his family in a crowded, lower middle-class Brooklyn walk-up. Eugene Jerome, standing in for the author, is the narrator and central character. Dreaming of baseball and girls, Eugene must cope with the mundane existence of his family life in Brooklyn: his formidable mother, overworked father, and worldly older brother Stanley; as well as extended family members that include his widowed Aunt Blanche and her two young (but rapidly aging) daughters. The warm and funny BRIGHTON BEACH MEMOIRS will open on Friday, April 24 and run through Sunday, May 24, 2020. Citadel Founding Artistic Director Scott Phelps will direct. Season subscriptions are available for the full four-show season at $120.00 or as flex passes that can be used for the patron’s choice of three shows for $100.00 or two shows for $70.00. Subscriptions and single tickets are now on sale at www.citadeltheatre.org. Thursdays at 7:30 pm, Fridays and Saturdays at 8:00 pm, Sundays at 3 pm. Preview ticket prices - $20.00. Regular run prices Wednesdays, Thursdays, Fridays $40.00; Saturdays and Sundays $45.00. Discounts available for groups, seniors and student. Part one of Neil Simon’s autobiographical trilogy: a portrait of the writer as a young teen in 1937 living with his family in a crowded, lower middle-class Brooklyn walk-up. Eugene Jerome must cope with the mundane existence of his family life in Brooklyn: formidable mother, overworked father, and his worldly older brother Stanley. Throw into the mix his widowed Aunt Blanche, her two young (but rapidly aging) daughters and you have a recipe for hilarity, served up Simon-style. This bittersweet memoir evocatively captures the life of a struggling Jewish household where, as his father states "if you didn't have a problem, you wouldn't be living here." Robert D. Estrin (Director, ANNIE) Robert’s directing credits include JOSEPH AND THE AMAZING TECHNICOLOR DREAMCOAT, THE EXPLORERS CLUB, A CHRISTMAS STORY: THE MUSICAL, A FUNNY THING HAPPENED ON THE WAY TO THE FORUM, DON’T DRESS FOR DINNER, CABARET, OTHER PEOPLE’S MONEY, LEND ME A TENOR (Citadel); THE SUM OF US (1027 Productions). Director/Designer: SUCH A PRETTY FACE (Off Broadway Equity Showcase production, New York City). Designer: A CHRISTMAS CAROL, LITTLE WOMEN, THE PRISONER OF SECOND AVENUE, THE BOARDING HOUSE, SOMETHING’S AFOOT (Citadel); CORPUS DELICTI, MR. SHAW GOES TO HOLLYWOOD, SIDE EFFECTS MAY INCLUDE (MadKap Productions). Retired in 2005 from New Trier High School after thirty-four years of teaching theatre. Visit Bob on his Facebook page. Education: Northern Illinois University (B.A. ); University of Illinois (M.A.). Pat Murphy (Director, THE FANTASTICKS) returns to Citadel Theatre as director for the winter production of THE FANTASTICKS. Last year he directed LIGHT UP THE SKY. Previous shows he directed at Citadel are, OLIVER!, A CHRISTMAS CAROL several years ago and DEATHTRAP. He has also acted in LEND ME A TENOR and OTHER PEOPLE’S MONEY. Murphy was Director of Theatre for 35 years at Glenbrook North High School. Murphy directed over one hundred productions at Glenbrook North before retiring a number of years ago. He now directs, acts and coaches theatre students and actors. Scott Phelps (Director, BRIGHTON BEACH MEMOIRS) is in his 16th year as the Artistic Director at Citadel. He’s acted in and directed dozens of Citadel productions over the last decade and a half since founding this North Shore theatre in 2002 with his friend and lifelong companion, Ellen. He has acted/directed in NYC, and in his home state of California, trained as an actor at the Pacific Conservatory of the Performing Arts in Santa Maria, CA, received his BFA from the University of Utah, and did an apprenticeship at the Actors Theatre of Louisville in KY. For 18 years Scott worked for a promotional company and raised his three daughters and his son in Lake Forest. Recently he has been taking on the next chapter of his life — the role of “Grandpa”. Although he is unsure if he is old enough to play that part, he’s been enjoying the challenge. Citadel Theatre is one of Chicagoland’s premier live theatres, producing hundreds of performances annually and inspiring audiences for over 16 years. 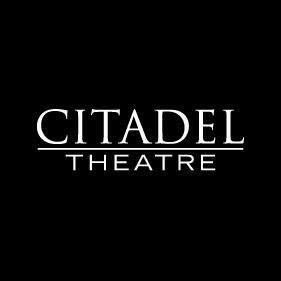 Founded by Scott and Ellen Phelps in 2002, Citadel Theatre is comprised of its Main Stage performances, its On Tour programs, and its theatre acting classes for children. A proud member of the League of Chicago Theatres and the Lake Forest/Lake Bluff ArtsLink, Citadel Theatre offers a unique intimate theatre experience that transports you to another setting and leaves you feeling exhilarated and wanting more. A recognized 501(c)3 non-profit organization, Citadel can accept tax-deductible donations. For more information, ticketing, and to donate, please visit Citadel online at www.CitadelTheatre.org or call 847.735.8554.